Goal for onr touch is 100 passes in a Min. 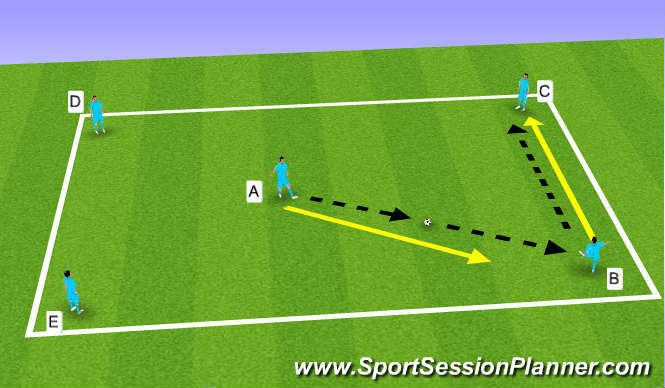 Rules: When A plays the pass to B player C must give player B a second option to pass to some times it helps to play the ball with our hands to show how the angles work. 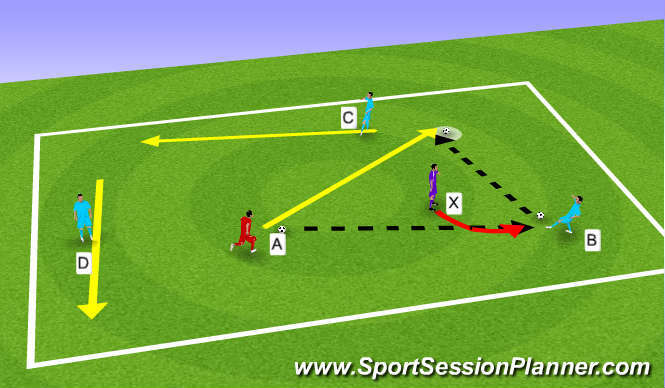 Each player must defend for one min. 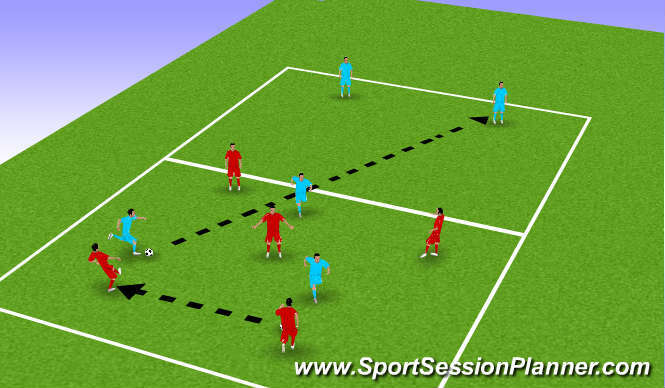 Competition: The 3 players in the exercise must complete 3 passes the get a point. If the defender wins the ball he recieves a point the game last one min. Organization: 12 yrd by 12 yrd grid 4 v 1 game A player is our play maker and player X is the defender. Player A must pass and receive every ball back she can combine with players C and D but must get the ball back after ever pass. 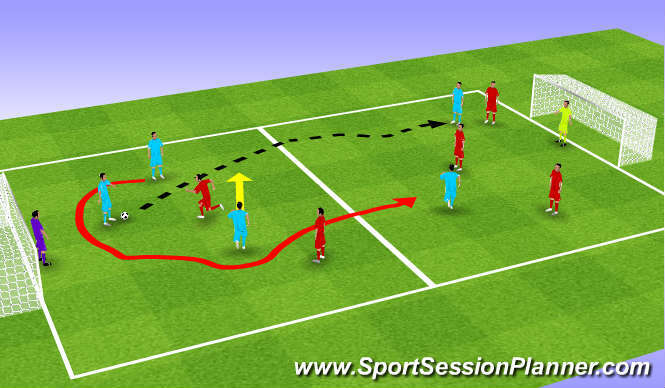 It is critical to the exercise the defender prssure the ball 100% fro the duration of the game which is one min.